Journal: Oxidative Medicine and Cellular Longevity, 2017, Article ID 6405278. In this study, 1307 people with Parkinsonism signed up to the”Complementary & Alternative Medicine Care in Parkinson’s Disease” (CAM Care in PD) study and filled in the survey. Of these 1053 were identified as having a diagnosis of idiopathic Parkinson’s disease – that is, the condition has arisen spontaneously. The data from these individuals was used in the analysis of the study. The average age of study participants was 63 years, and they had an average 5.2 years since diagnosis. Interestingly, more females (53%) enrolled in the study than males, and the vast majority of the subjects were of a Caucasian background (Click here to see all of the demographics of the sample population). The survey used a self-assessment tool, called the ‘patient-reported outcomes in PD’ (PRO-PD), to assess the severity of the Parkinson’s disease in each participant. This survey consists of 33 common Parkinson’s disease related symptoms (such as tremor, sense of smell, etc), and required the participant to simply move a marker on a slide bar according to severity (the left side of the bar always representing no problems, and the right side of the bar always representing the highest level of severity. How reliable are the results of a ‘self-assessed’ survey by people with Parkinson’s disease? Title:Use of a self-rating scale of the nature and severity of symptoms in Parkinson’s Disease (PRO-PD): Correlation with quality of life and existing scales of disease severity. Authors: Mischley LK, Lau RC, Weiss NS. Journal: NPJ Parkinsons Dis. 2017 Jun 16;3:20. In this comparative study, the investigators asked 58 people with Parkinson’s (who were involved in ongoing clinical trials), to fill in the PRO-PD survey. The researchers next compared the self-assessed results of the PRO-PD survey with the results determined in the clinical setting by clinicians. They found that the PRO-PD self assessed survey was highly correlated not only with patient-reported quality of life measures (such as the Parkinson’s Disease Questionaire-39), but also with clinician assessed measures (such as Hoehn & Yahr and Unified Parkinson’s disease Rating Scale (UPDRS). This result suggests that the PRO-PD survey can be reliably used in determining disease severity in online studies. Ok, so what else did the investigators ask survey participants about in the new study? After the questions of disease severity, the survey moves on to a long list of life style questions, which deals with everything from dietary supplements to how far one lives from a highway. It is very thorough. All of this information has been collected and analysed, and in this new research report Dr Mischley and her colleagues turned their focus on the dietary and nutritional data in the survey. were all associated with significantly increased rates of disease progression (that is, the condition was getting worse as a result of consuming these foods). In addition, ice cream, yogurt and cheese were also associated with increased rates of disease progression (although this was not significant). To see the full list of foods, please click here. We have previously discussed on this website the association between Parkinson’s disease and dairy products (milk in particular – click here to read that post), but soda (or carbonated drinks) is a new one for me. 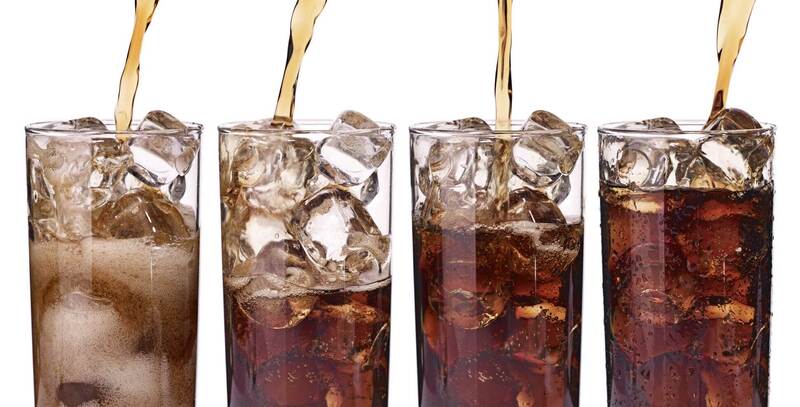 The study particularly points towards diet soda (as opposed to normal soda) as being a bad influence. Diet soda contains artificial sweetners, such aspartame. This sweetener (also known as NutraSweet) is converted in the gut into phenylalanine (pronounced ‘feen ill Alah neen’), which is known to compete with Levodopa for absorption into the brain and can interfere with dopamine processing . Short term treatment of aspartame in a clinical setting does not appear to have much impact on levodopa-treated Parkinson’s disease (Click here to read more about this), but perhaps the long term consumption of aspartame could be having a bad influence. While high levels of aspartame do not appear to affect the production of dopamine per se (Click here and here to read more about this), it does seem to affect the way dopamine is used. When dopamine neurons are stimulated in the presence of aspartame, the release of dopamine is reduced (Click here and here to read more about this). Alternatively, there may be some other ingredient in diet soda that could be having the negative influence. Obviously, more research is needed on this topic – particularly given the high volumes of soda being consumed by western societies (my Friday night rum and coke may have to become a thing of the past… or it could just become a Friday night rum from now on!). What about beef? This new study suggests it’s a negative influence on Parkinson’s disease progression? Title: Prospective study of dietary pattern and risk of Parkinson disease. Authors: Gao X, Chen H, Fung TT, Logroscino G, Schwarzschild MA, Hu FB, Ascherio A. Journal: Am J Clin Nutr. 2007 Nov;86(5):1486-94. In this study looked at the long term lifestyles of 49 692 men and 81 676 women. The data of all of these individuals was collected as part of the Nurses’ Health Study (NHS) and the Health Professionals Follow-Up Study (HPFS). The NHS study was started in 1976 when 121,700 female registered nurses (aged 30 to 55 years) completed a mailed questionnaire. They provided an overview of their medical histories and health-related behaviours. The HPFS study was established in 1986, when 51,529 male health professionals (40 to 75 years) responded to a similar questionnaire. Both the NHS and the HPFS send out follow-up questionnaires every 2 years. All of these individuals were free of Parkinson’s disease at the start of these studies, but 508 were diagnosed with Parkinson’s during the 16 years of follow-up. A high intake of fruit, vegetables, legumes, whole grains, nuts, fish, and poultry was associated with a lower risk of developing Parkinson’s disease, while a “Western diet” of red meats, processed meats, refined grains, French fries, desserts and sweets, and high-fat dairy products was associated with an increased risk of developing Parkinson’s disease. But how could meat influence Parkinson’s? Higher intake of meat has been reported to be associated with higher uric acid concentrations (Click here to read more about this), which is believed to reduce the risk of Parkinson’s disease in men (Click here to read a previous post on the topic of uric acid). But beef is also high in iron and as we shall see below iron is not so beneficial in the context of Parkinson’s disease. So, after looking at all of the dietary information in their study, Dr Mischley and her colleagues turned their attention to the nutritional supplements data (Click here to see the full table of data). Interestingly, of all the nutritional supplements investigated in the study only coenzyme Q10 and fish oil were associated with statistically significant reduced rates of Parkinson’s disease progression, and it should be noted that the association between coenzyme Q10 and Parkinson’s disease progression disappeared after the data was adjusting for income. 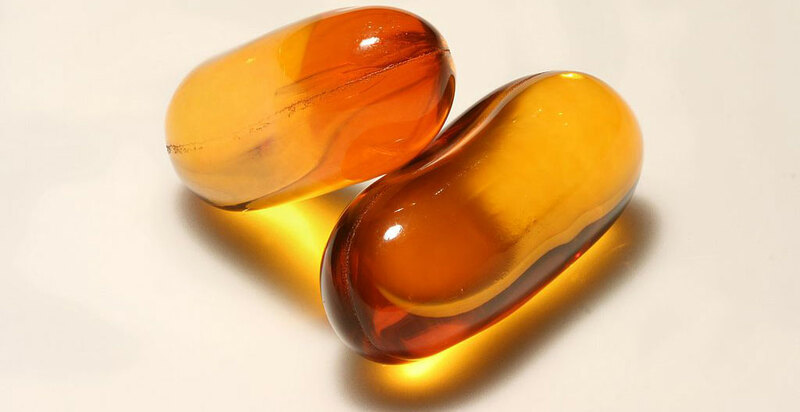 Coenzyme Q10 is an antioxidant (Click here to read more about antioxidants). It exhibited positive preclinical results in models of Parkinson’s disease, and this led to several large clinical trials. Keeping in line with Dr Mischley’s findings, all of those trials failed to show any dramatic impact on the condition by Coenzyme Q10. This article reported the results of a phase III randomised, placebo-controlled, double-blind clinical trial at 67 North American sites, consisting of 600 participants. While Coenzyme Q10 was safe and well tolerated by the subjects in the study, it demonstrated no evidence of clinical benefit. One justified critique of the coenzyme Q10 clinical studies, however, was the variety of subjects with Parkinson’s disease involved. It has been suggested that a clinical trial should be performed with coenzyme Q10 in people with Parkinson’s disease who have a proven mutation in the PINK1 gene as these are the subjects who are most likely to benefit from this approach. That would be an interesting trial. Yes, so only fish oil demonstrated any beneficial properties with regards to reducing the severity of Parkinson’s disease symptoms in the PRO-PD study. EDITORIAL NOTE: It should be added here that not many of the nutritional supplements were being taken by more than a few dozen people. Given these low numbers, while many of those supplements may have been having an effect, but it was not statistically significant. For example, fish oil was being used by a high number of participants (376 to be exact) and coenzyme Q10 was being taken by 286 participants, but Quercetin – a flavonoid (a type of plant pigment) that is found in many fruits, vegetables, leaves and grains – which was demonstrating a positive trend in the data, was only being used by 21 of the subjects in the entire study (Click here to learn more about Quercetin). Thus, some of these supplements may be beneficial but the study requires more participants to be able to demonstrate it. But what is fish oil? As the label on the can suggests, fish oil is simply oil derived from the tissues of fish. Usually it is extracted from oily fish, such as Salmon. The US Environmental Protection Agency actually warns against certain fish species (for example, albacore tuna, shark, and swordfish), suggesting that they should be avoided due to high levels of the potentially toxic contaminants like mercury. Fish oil is a rich source of the omega-3 fatty acids and docosahexaenoic acid, which have both been reported to be neuroprotective in models of Parkinson’s disease (Click here and here to read more about this). We will come back to omega-3 fatty acids and docosahexaenoic acid in a future post as there has been a great deal of research on them in the area of neurodegenerative conditions (including a phase 2/3 clinical trial of docosahexaenoic acid in Alzheimer’s disease – Click here to read more about that). Were there any nutritional supplements that had a negative impact on Parkinson’s disease? Did you mention something about iron? Yes, there were and iron was one of them. We have previously looked at iron on this website as there is a lot of research exploring the use of iron chelators – a class of drugs that removes excess iron from the body – in Parkinson’s disease (Click here to read that post). Only 57 people in the study were taking iron supplements, but they were largely experiencing more progressive Parkinson’s disease than those who were not. While iron is very necessary for the normal functioning of cells and organisms, it is also very prone to oxidation which can have a negative impact. Another supplement that was negatively associated with Parkinson’s disease was Melatonin. Also known as N-acetyl-5-methoxy tryptamine, Melatonin is a hormone that regulates sleep and wakefulness. 148 participants in the study were using Melatonin, but it was the nutritional supplement most significantly associated with worsening of Parkinson’s symptoms. This was a strange result given that Melatonin has demonstrated neuroprotective properties in models of Parkinson’s disease, particularly relating to mitochondrial function (Click here to read more on this). And Dr Mischley and her colleagues noted in their results that the data most likely indicated that that it was insomnia, and not the use of melatonin, was associated with a worsening of Parkinson’s symptoms. All too often in the research community we are waiting for the next big block buster drug that will positively impact disease progression, halting or slowing down a condition. All the while, natural alternatives may be lying in plain sight and being ignored in our quest for the cure-all drug. This new research article presenting some of the results of the PRO-PD study is recommended reading for anyone interested in diet and nutrition relating to Parkinson’s disease – and it is a very readable report (Click here to read it). While methodological issues could be pointed out and debated (such as the reliance on self-assessment in the study), it still provides an interesting insight into elements of diet and nutrition that are working for many within the Parkinson’s community. 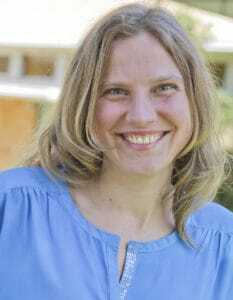 There may well be differences between individuals – and Dr Mischley is hoping to address this in future research – but the study still provides useable information that folks can individually explore. And as I mentioned above, the study is still ongoing. If you are interested in getting involved, please click here to learn more. Well done! Thanks. Where do I send my dues? Hi Simon – did the study control for exercise? Those people eating the healthy, “mediterranean” diet may be more likely to be health aware. As such, we could speculate that they would be more likely to exercise. On the other hand, those eating the fried food/soda diet may be more likely to be less aware of the long term impact of such a diet on general health. Or, if they are aware, to be less motivated to do anything about it. The net result could be less exercise. So, indirectly, could the effect be related to exercise rather than diet? Thanks for the comment and interesting question. The short answer is “No, they didn’t adjust for exercise”. I have asked the authors about this and they said that they did considered it and decided against doing it, focusing just on the raw data. Partly for philosophical reasons: a deep commit to pragmatic trial designs. And partly to avoid the slippery slope of trying to explain the mechanism (certainly broccoli-eaters exercise more, but maybe they also meditate more, have more friends, get more sun, sleep more, the list is endless). I can see their point. Your point is fair though, and obviously this is one of the technical issues associated with this style of study. It would be interesting to see a follow up study (when they have a larger cohort) that repeats the analysis and takes into account some of the other potential confounding variables (exercise, etc). Have there been any studies on the effects of not eating ie fasting? Periodic or time restricted eating or even fast mimicking diets. Wondering if autophagy (which is one of the effects of fasting) is actually beneficial in PD? is an interesting case report about an increase (!) in dopamine transporter density over successive years in a patient who was treated with melatonin after being diagnosed with REM sleep behavior disorder and PD.